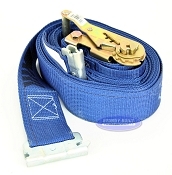 This category contains a selection of E Track style tie downs for securing difficult loads within a Cargo trailer, Shed, or Garage. These innovative tie down solutions are ideal for nearly any type of load. Common uses would be landscaping equipment, constructions tools, racking, and household items. 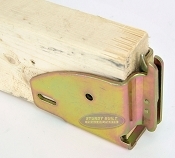 These E Track tie downs fit into the vertical or horizontal style of E Track and have limitless uses.